On June 6, 2014, CIA started using twitter. 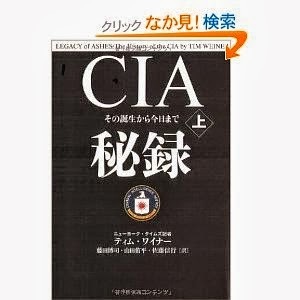 Accordingly, I wrote the 2 most important questions which could influence on the very survival of Japan toward CIA. Please excuse me for writing to your agency. However, the following two questions could relate to the very survival of our nation, and could influence the global environment in the future since our pro-nuclear power political leaders keeps ignoring the health hazards and restart nuclear power plants in our seismically active nation near future. So please kindly answer to the following as early as possible. The followings are the 2 questions. 1. The former Yomiuri President, and the founder of Nippon TV, Mr. Matsutaro Shoriki, was proven to be an ex-CIA agent whose code name is "Podam" according to the archive documents in the US and he is known to be the Father of Japanese nuclear, who strongly promoted the introduction of nuclear power to Japan. 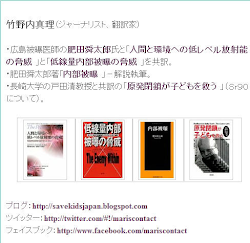 It is also a known fact that Mr. Yasuhiro Nakasone, the then member of parilament who became Prime Minister in the 80s, submitted nuclear power bodget to the Diet only 3 days after the Bikini incident in 1954, and under the strategey of "A poison neutralizes another poison," nuclear power was introduced to Japan in the midst of anti-nuclear test sentiment. Regarding this historical fact, doesn't CIA have any feeling of moral responsibility to have promoted the introduction of nuclear power to Japan, the A-bomb victim and a seismically-most active country? 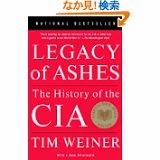 According to Chapter 12 of "Legacy of Ashes" written by the pulizer winner journalist, Mr. Tim Weiner, it is written that the first prominent country where CIA chose for its country's leader was Japan, mentioning about Mr. Nobusuke Kishi, the former A class wartime criminal who turned to be the Prime Minister with the support of CIA that had been providing financial support to the right winged ruling party Liberal Democratic Party for many years since after the war into the 70s. Amazingly, it also stated that Mr. Kishi invited the US ambassador Joseph Grew to play golf in 1942 during the wartime. It is a famous story that former Class A criminal-turned Prime Minister Nobusuke Kishi was a CIA agent, but had he been so since during the wartime? More importantly, isn't the current Prime Minister Shinzo Abe whose political beliefs resemble so much to those of Mr. Kishi including possesing nuclear weapons and promoting nuclear power (even after Fukushima accident ignoring the Fukushima children's health problems) related to CIA or other US intelligence agencies? I have a very strong doubt on this issue since he introduced the Specified Secrecy Law and has established the Japanese version of NSA. Are these information correct or not? Chapter 12 is a MUST Read to know Japanese politics!